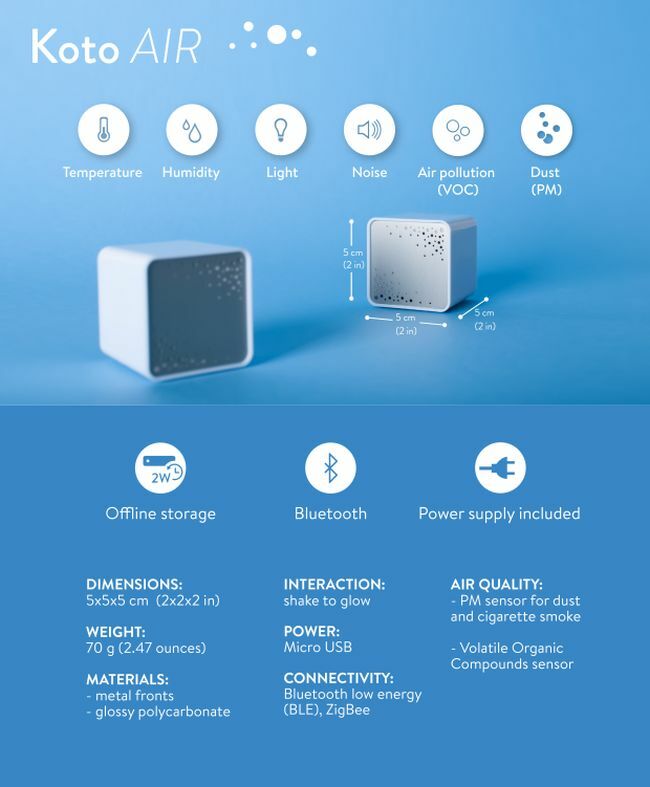 Wish there was a product to sense all the health issues and alert us? Well, Koto is the answer to your call. 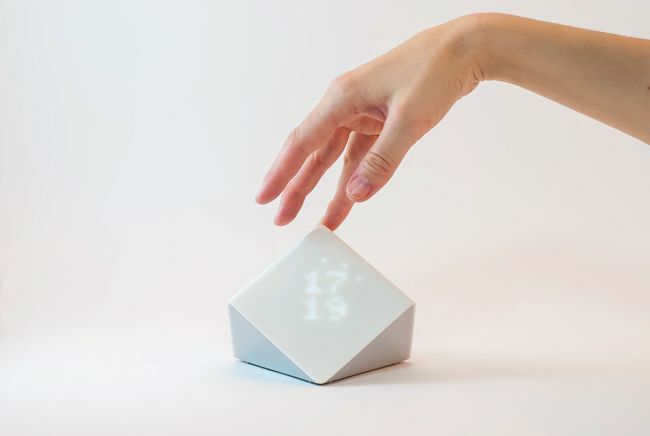 Designer Masa Cernovsek Logar has designed this amazing product that will leave you stunned on being introduced. 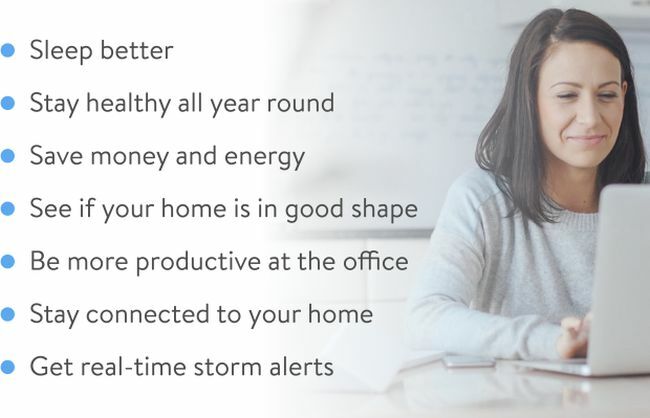 Koto is a family of smart sensors for a healthier home as these monitor your environment to help you sleep better and keep your family healthy. 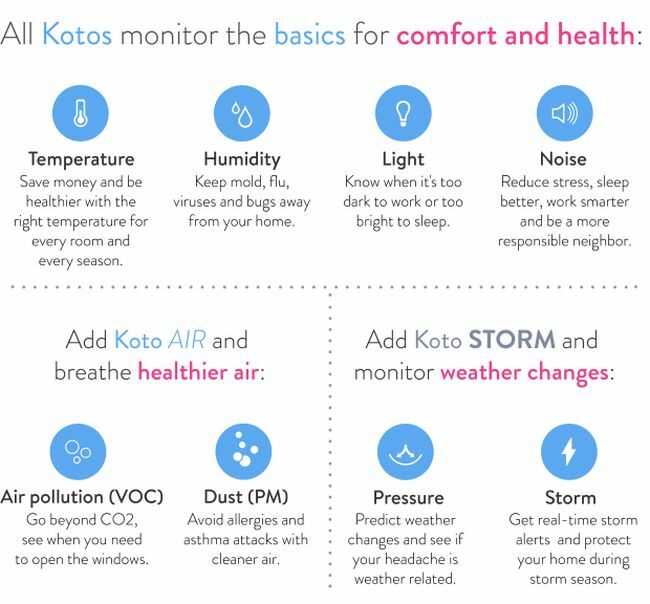 Perfect for indoor environments, Koto sensors let you know when you can make simple improvements to keep your home and family healthy. There is this Koto app that enables users to know exactly what they got to change for each room in real-time. 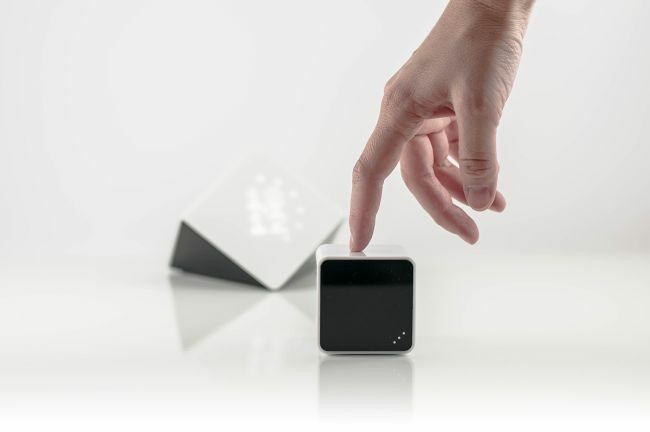 The Koto sensors easily sync data directly with the Bluetooth enabled iPhone or Android smartphone when you’re around. Koto web app also lets you monitor the activities. 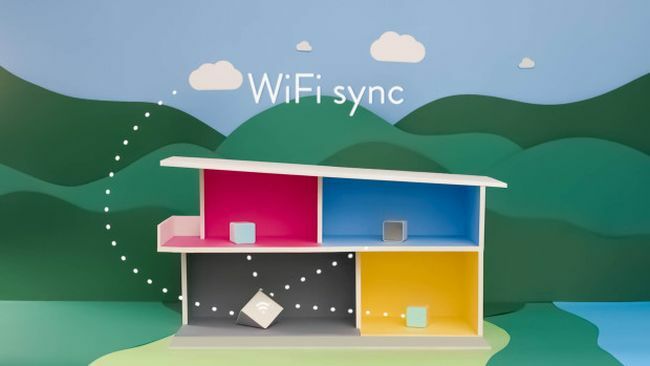 Simply enable WiFi sync by adding a Koto Storm to your Koto network. 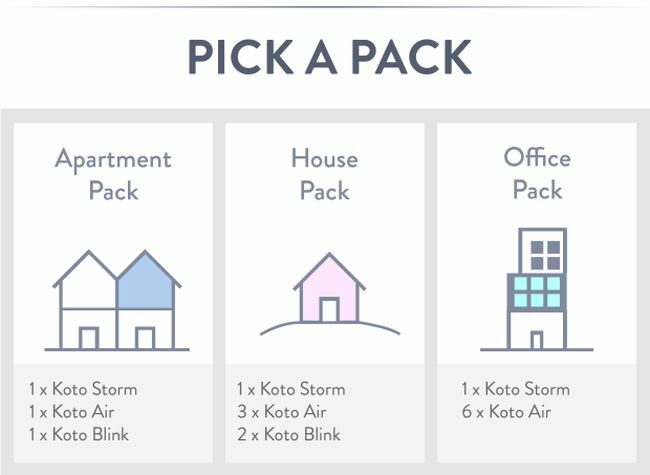 There are three Kotos to choose from. You can opt for the right Koto for your home. 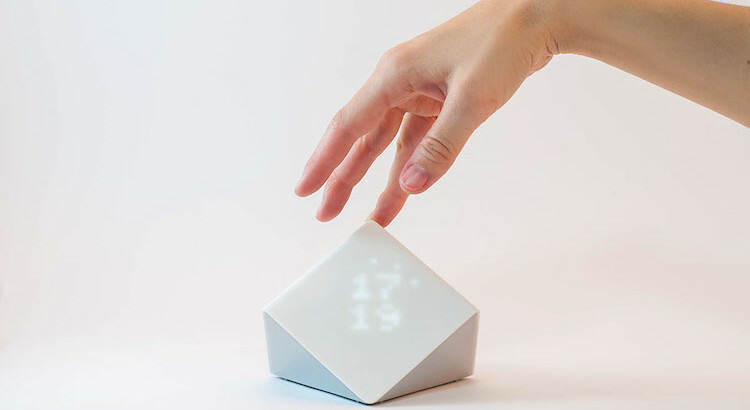 Firstly there is this Koto Blink that suggests the little improvements that if made, will keep you comfortable in any room. 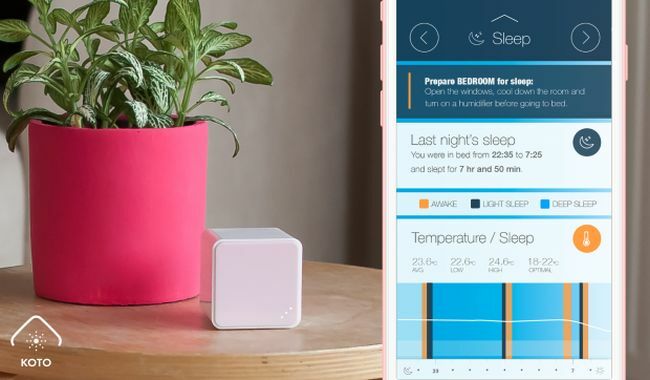 It sets asks suggests you the right temperature for the room you are in as too hot or too cold can disturb your comfort and sleep. 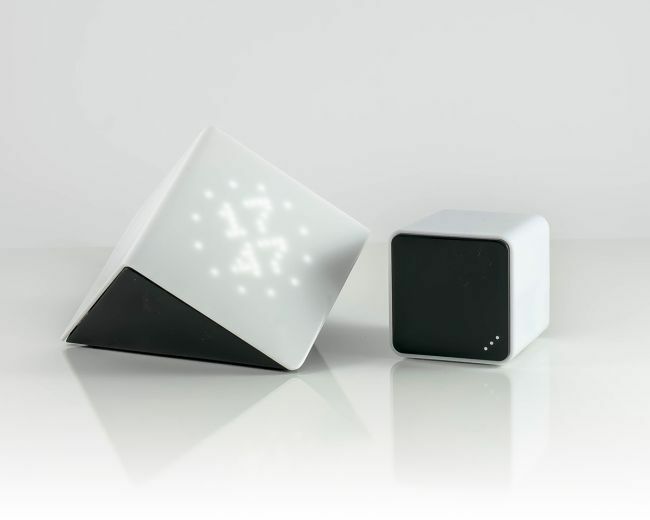 Koto Blink knows what works best for different types of rooms and doesn’t stop working hen its too dark or noisy. 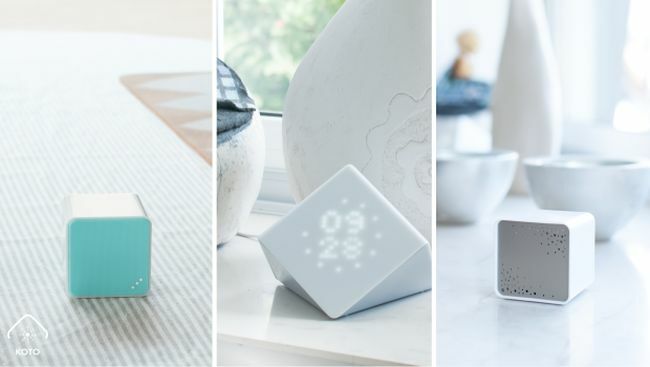 This smart product keeps the track of everything Koto Blink does. Besides, it detects the presence of too much dust or harmful gases in the air. 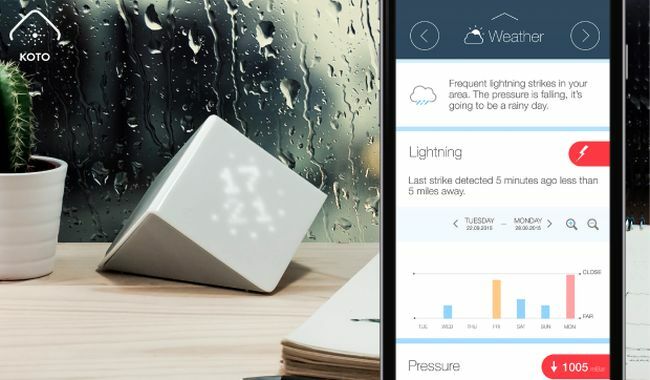 With it, users can find the right balance between temperature and humidity thereby keeping mold, viruses and bugs away from your home. 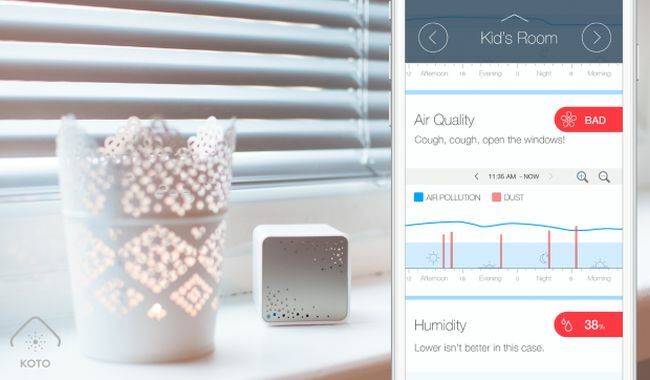 LAlso, Koto Air ensures to alert the users when it’s time to let some fresh air in. 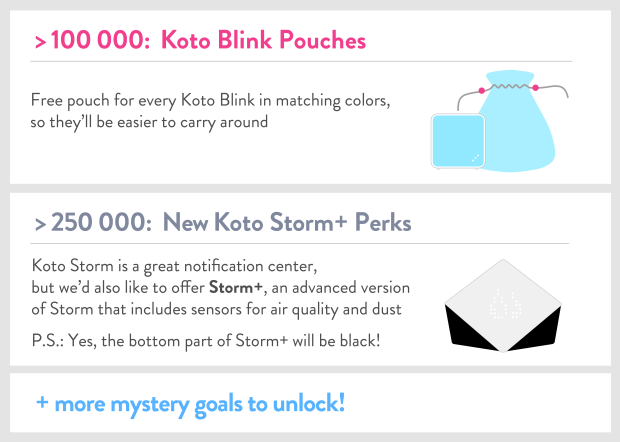 Storm measures everything that Koto Blink does. 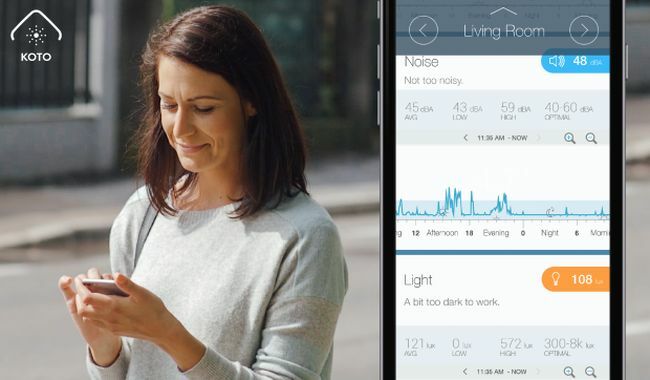 When you add Koto Storm, Koto Blink and Koto Air sync online in real-time even when you’re not around thereby enabling you to check what’s going on at home even while you are at work. 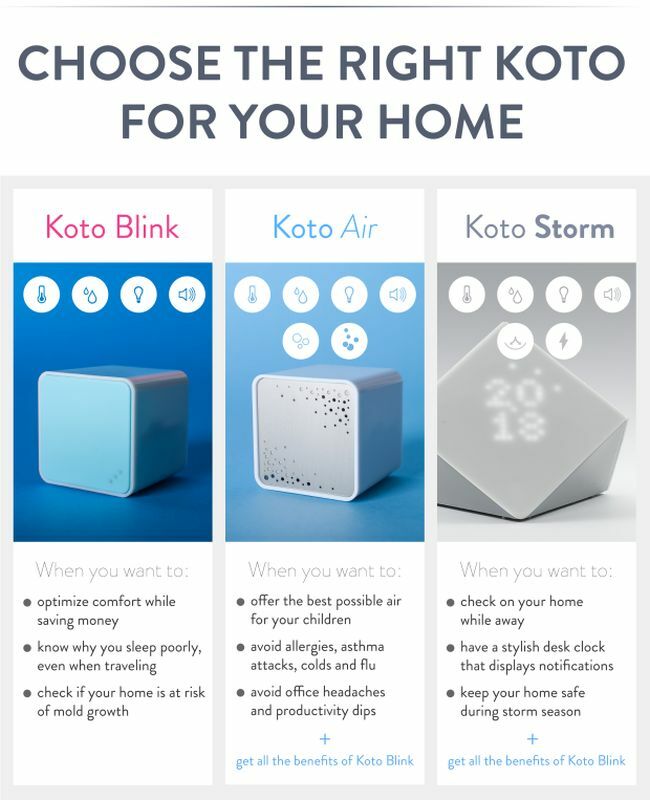 Koto Storm also detects lightning strikes and changes in barometric pressure to help you stay safe during storm season. 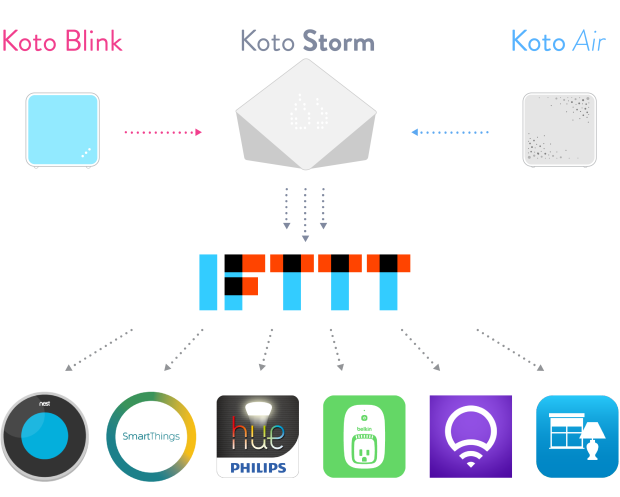 There are IFTTT channels which Koto smart sensors have allowed them to send instructions to your smart thermostat, connected lights and other devices around your connected home. For those all of you interested in advanced data analysis, you can get detailed minute-by-minute data exports for any period of time. 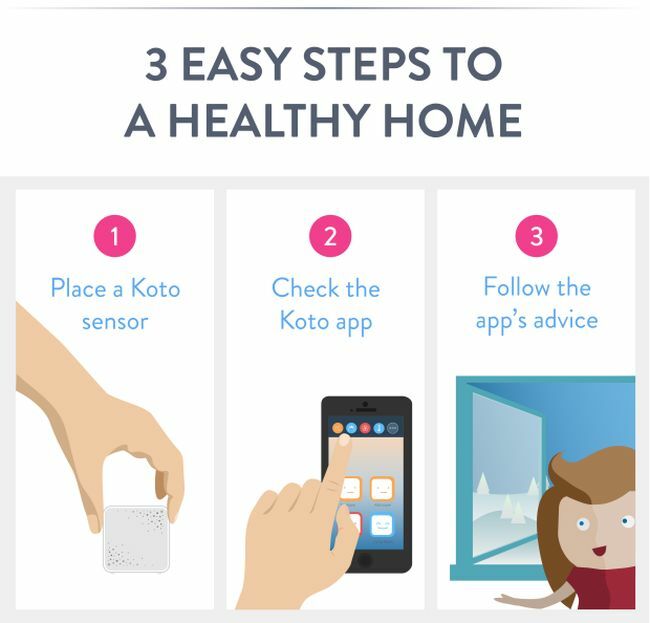 The Koto sensors can be shared with all your family members and friends if you want to. 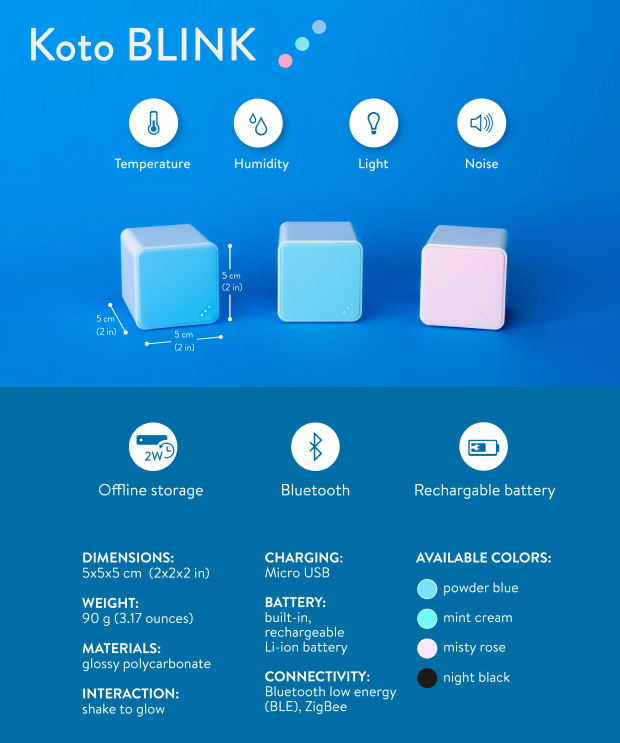 There is not jut the core team behind the final product instead various experienced engineers and designers have helped a great deal in manufacturing of CubeSensors. 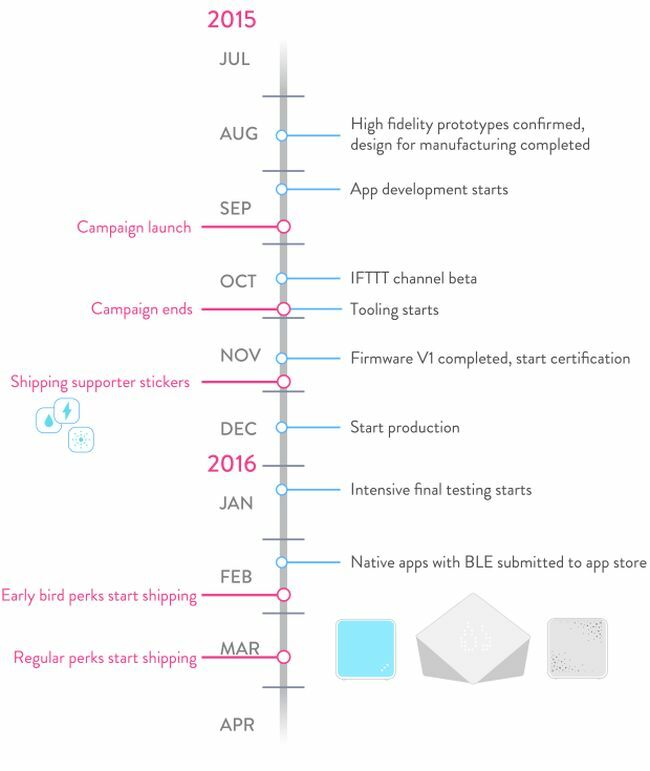 Currently it is in the testing phase. Already, months have been spent testing Koto prototypes at homes of the team members and at Koto HQ in Ljubljana. It is anticipated that Koto sensors will be made available starting in February 2016. We will keep you all posted with the updates on the availability of this smart product. Who all of you are interested in taking home Koto?